The whistle-blowing website Wikileaks has released what it says is a leaked chapter from the Trans-Pacific Partnership (TPP), and a Green MP says it raises the prospect of internet police. The alleged leaked copy of the chapter on intellectual property from the final text of the TPP indicates the trade agreement would make Internet Service Providers (ISPs) responsible for ensuring users do not breach copyright when they are using the internet. Green MP Gareth Hughes told Morning Report that the TPP will make ISPs "the internet police". "This is described as a trade deal, but actually it's - more importantly - trying to establish a network of American-based rules across the Pacific region, so what we're seeing is corporate interests trump those of average users and citizens in this leaked final chapter." Mr Hughes said people shouldn't breach copyright, but enforcement should be through a proper judicial process, as it currently is in New Zealand, with ISPs made to take action only when subject to a court order. He said there were three big concerns with the copyright changes. The first was that New Zealand's copyright lengths were increasing, extending copyright from 50 years to 70 years after the death of the author or creator, which could be costly for New Zealand consumers. "The government themselves say this could cost New Zealand $55 million a year. Secondly, it looks like we're adopting a more American regime when it comes to copyright enforcement, which could reduce the safe harbour provisions for our internet service providers. I don't think we want to turn our ISPs into the internet police," Mr Hughes said. "And thirdly, tens of thousands of Kiwis every week use virtual private networks to change their computer's IP address, and this itself could in fact be criminalised, despite the many legitimate uses." 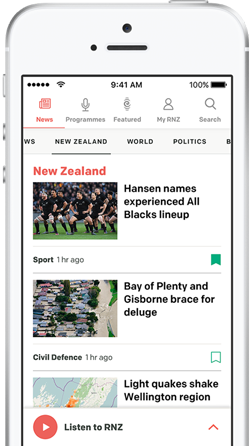 A spokesperson from local internet advocacy organisation InternetNZ said he was also concerned the new rules "could be pretty heavy-handed, draconian stuff". Andrew Cushen told Morning Report that there were "fishhooks" in the intellectual property chapter Wikileaks published. He said the chapter's Technical Protection Measures (TPMs), which are locks copyright owners use to guard or restrict the use of their digital material, warranted examination. "So there is a suggestion that states would move towards criminalisation, criminal liability for these styles of behaviour," Mr Cushen said. "In laymen's terms, when you're starting to talk about criminal liability, you're talking about police action in order to enforce those rights where TPMs have been violated. "This could be pretty heavy-handed, draconian stuff where your 14-year-old has fiddled on the computer, and the next thing you know, the police are knocking on your door. Sounds pretty chilling to us." Mr Cushen said TPMs that had yet to be established in local case law could now be ruled by the provisions of the TPP. "Technical protection measures are things like DVD region locking, which prevents DVDs being watched unless you're in the right part of the world. We have protections here in our New Zealand law that allows you to circumvent those protections and certain restrictions," Mr Cushen said. "However the TPP appears to require us to get more stringent on circumventing (those kinds of TPMs)." Mr Cushen acknowledged that the Ministry of Foreign Affairs specifically said that breaking region locking on DVDs would continue to be legal under New Zealand law. "That's an exception that's already in New Zealand law, and there's a carve-out for those things to be protected," Mr Cushen said. "But of course here we are talking about, in a way, yesterday's technology. This TPM stuff will impact on future technologies that haven't been carved out before, and where those restrictions could now be in place." Mr Cushen said one of the things they were concerned about was the global mode case, which could be affected by the the TPP. "That was never tested in terms of the action that was threatened by rights-holders here in New Zealand as to whether it was a TPM, and that could be caught up in this here now too." Mr Hughes said he accepted commercial interests needed to be protected, and he supported copyright. But he also believed New Zealand shouldn't be massively extending the terms, based on American rules. "And really it's future artists who... miss out, because they want to draw on the works in our cultural history." "What's going to happen is we're going to see copyright length increase (to) life plus 70 years. 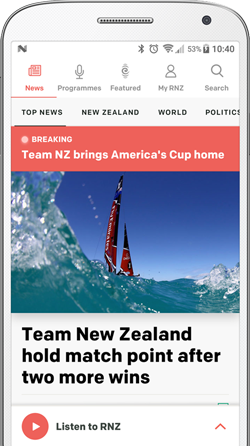 It comes with a real cost to the New Zealand economy, New Zealand users." The official release of the TPP text, following last week's deal between 12 countries, is still a few weeks away, with negotiators still finalising details. The United States government hopes to release the full text of the Trans Pacific Partnership (TPP) deal within the next 30 days. Who wins from TPP's copyright rules? Critics of new copyright rules under the Trans Pacific Partnership say they will cost consumers millions of dollars and stifle the creative industry. No amount of evidence from industry experts will erase the fact that Megaupload knowingly paid users for violating copyright, the Crown says. A Trans-Pacific Partnership deal may be done, but that doesn't mean the fight is over, writes Economics Correspondent Patrick O'Meara.